Podcasting: To some, the idea of creating or consuming content through this medium may seem alien, to others it’s a form of content they consume, or even produce regularly. Whatever the case may be, the argument on whether podcasting is a viable tool for marketing your online business or not has started to become obsolete. Statistics over the past couple of years have shown some impressive numbers, proving that podcasting is definitely something you should look into if you are looking to step up your online marketing game. Subscriptions to podcasts had crossed the 1 billion mark way back in 2013, while podcast listeners have crossed the 75 million per month mark, and mind you that we’re talking about unique listeners per month here. However, only a meager 6% of marketers are creating podcast content, although this number may spike as online business owners are understanding the ROI value and effect of podcasts on their conversion rates. According to the Podcast Consumer 2017 Report created by EdisonResearch.com, “podcasting continues to rise, with monthly listeners growing from 21% to 24% year over year”. Even though video has gained popularity amongst online marketers, it still lacks the convenience that the audio format of podcasts provides. A majority of the listeners happen to be educated and affluent consumers who crave personalized content that is intellectually stimulating to them. When the content creator can connect with such an audience, they are more likely to gain their trust and manage to convert the listeners to consumers of their product. This statement is backed with the fact that, on average, 63% of listeners have purchased something that a host had promoted on their show. Podcasting is a great way to build your brand, create meaningful conversations, connect and build a better relationship with your existing customers and expand your audience base. This guide will take you through the process of starting your very own podcast and capitalizing on this fantastic form of content to drive higher profits for your ecommerce set-up. What Do I Do After Everything is Set Up? So what is podcasting, after all? The word “podcast” itself comes from the combination of two words: iPod + Broadcast. It was coined by Ben Hammersley in an article that he wrote for The Guardian about this new booming form of content, back in 2004. Podcasting is a form of “Narrowcast” content which essentially means that it’s not hooked on ad revenue like “Broadcast” content is, therefore it is specific and has a niche audience. Due to its specialized nature, it is targeted to those who are genuinely interested in that type of content, which is great for online marketers as they have listeners in the audience that could possibly be on the brink of conversion. Unlike several other audio content formats such as AM/FM, Podcasts are on-demand content that can be downloaded, are portable and can be listened to at your convenience. At first glance, it may be difficult to distinguish the functionality of a podcast and the process of searching & downloading audio files such as MP3 music tracks and listening to them like most people have done for many years now. The difference comes from the application of RSS (Really Simple Syndication) and feed readers. RSS is a kind of web feed that gives users access to computer readable online content and the updates. This means that instead of going through the process of searching and downloading content, the content will come to the users through syndication/subscription. This isn’t just limited to just audio files & podcasts as users can subscribe to any digital media that they have access to, i.e blogs, specific articles, websites, videos and any other media content present online. When you create a list of feeds by subscribing to the RSS channels of the various sites you like, there is no longer a need to visit these multiple individual websites, blogs, etc. Instead, you have a centralized, personally curated list on your feed reader that updates the content from these various platforms as soon as it is available, which makes consuming your favorite content less distracting and more efficient. The only condition is that the website that you would like to subscribe/syndicate to should make this subscription feature available to the users. However, more websites and companies are now increasingly enabling syndication after realizing how beneficial it is for them. All you have to do is look for the RSS symbol on the blog/website (orange & white). Since a podcast is an audio show (a collection/series of episodes), one can use syndication to subscribe to the specific show and listen to it on their mobile devices or computers and download them for later, too. Users get notified when a new episode of the show is available to them. Note: There is more than one way to syndicate content, but RSS and Atom seem to be the most common. RSS is more popular due to higher standards towards creating web syndication services. RSS Aggregators or RSS Readers are specific computer-generated programs that read, list and automatically access the RSS feeds of different websites that you are interested in and organize them for you in one place. A popular example of this is Feedly, which is a news aggregator that works across different web browsers and is now available as a cloud-based service. This means that unlike many other platforms where you can only access your feeds from the computer with the appropriate software that you used to subscribe to channels, with Feedly you can access this list from virtually anywhere, with any device that has an active internet connection. Podcast players, commonly referred to as “podcatchers”, such as iTunes or the Podcast app on your phone sync the RSS feeds of the website or blogs that you are subscribed to and give you a list of episodes of the channel and include other information such as any related artwork, file format, notes and of course the name of the episode. These apps are widely available on iOS and Android app stores and are mostly free. The best way to go about planning your very own podcast would be to develop a content strategy. The first step is to decide on the theme and topic/s for your show. When creating a podcast for your ecommerce setup, you need to distinguish between whether your focus will be on a broad variety of topics or will you focus on a unique subject that has a niche audience. You don’t have to have a show about your product/service only, rather focus on the kind of customers you have and their interests. If you are selling outdoor gear then instead of having a show about just the gear, which will be limiting in terms of content in the long run, your topics could be based on different outdoor activities and sports, and then you can slip in how your products would enhance the listener’s experience with the activity discussed. However, for this to work, you need to make sure that not only are you passionate about these subjects but also an expert on the same. You could ask a friend/colleague to co-host the show – your different viewpoints, approaches, and experiences could be extremely enriching to the audience. You could have guest speakers, perhaps even other podcasters on your show and interview them on the topic of the episode. This is a great way to bring in expertise while collaborating and growing your network within the podcasting community and your specific industry. Your style could be based on storytelling and the show revolving around the narrative. You could combine all these styles and structures to make your own format that suits your needs and helps reach the business goals that you have set out to achieve from the podcast. When planning the structure and the format of your podcasts, it is imperative to plan out the length of each episode and make sure that all your episodes are approximately in the same time frame. Too long and you might risk losing your audience due to boredom or other distractions, too short and you might not be able to pack the punch that you would’ve liked in your episode, thus losing out on the value of the content. How often will you release a new episode – daily, weekly, fortnightly? Sticking to a regular structure and schedule will let your audience know what to expect, which is a great way of retaining listeners. Keep producing and publishing relevant content to stay relevant to your audience. Planning ahead and listing what the content for the next 10-20 episodes will ensure that you don’t hit a roadblock later when it might be more difficult to change your content strategy. When you finally decide the topic/s of your podcast, make sure you do your research around it! It would be incredibly valuable to know which other podcast channels offer the same kind of content. Scoping out the competition will give you an idea of the issues you might face, what content works with the customers and how to deal with any difficulties that may arise. Remember, you need to make sure that you keep your audience’s lifestyles and values in mind while planning your content strategy as it has to fit into their daily schedule. If your podcast episode is the only content they have actively decided to consume in their hectic lifestyle, make that content worth their while! Note: The ideal length of a podcast should be no longer than 22 minutes as scientists have observed that the human brain can pay attention to content from one source for 18 minutes, on average. The frequency should be weekly and the best day to post is Tuesdays as iTunes gets the max visitors due to new music released on this day of the week. What Will I Need in Order to Record my First Podcast? The reason it’s important to plan out your content strategy in advance is that it gives you the chance to plan out all the required gear you’ll need in order to record and publish your podcast. As podcasts are solely audio-based content, the audio quality will be an imperative factor. While it is true that you could essentially create your first episode right now with just your smartphone recording app and/or your laptop, it is seriously advisable to look into investing in some good quality recording gear. If you are serious about setting up and eventually running a successful podcast channel for your online business, a small investment could up the quality of your audio and this, in turn, will make you seem more professional and a credible source of content for listeners. The better the quality of your content and audio, the more subscribers you’re looking at. It’s simple math: the more people that need to be recorded at once, the more gear you will need to hook up in order to record on your computer/device. Let’s talk mics. If you are a solo podcaster, all you really need is a plug and play type mic with a USB cable to attach it directly to the computer. The Samson Q1U Dynamic USB Microphone ($50 USD) is a basic plug and play mic which provides very good audio quality for a reasonable price. 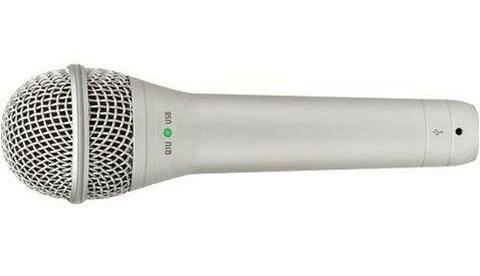 Another great option for a low budget, yet high-quality microphone is the Audio-Technica ATR2100-USB ($79 USD). This mic features the USB and the XLR plugs along with a headphone jack that enables you to connect a pair of headphones so you can hear yourself while recording. The XLR capability gives you the option to connect it to an audio interface, such as a mixer, if you wish to do so. 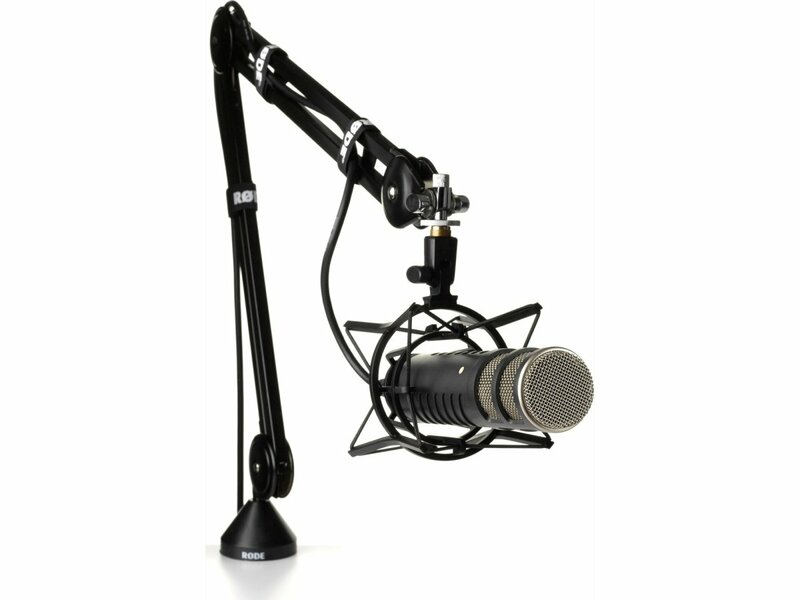 This mic is a popular choice amongst podcasters and even Tim Ferriss is popularly known to use this microphone. 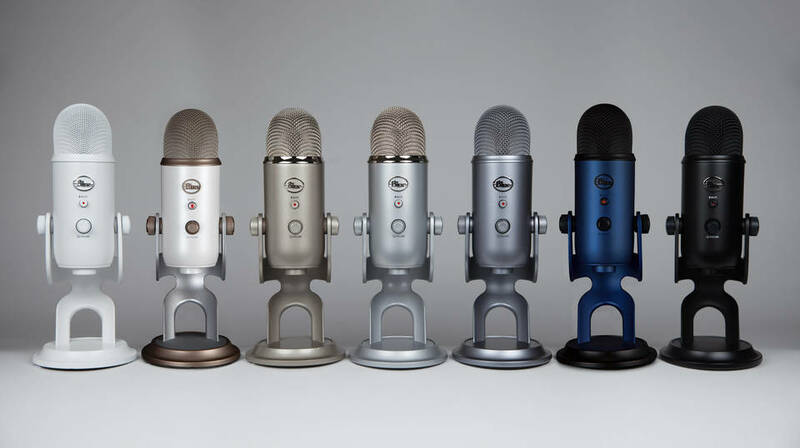 The slightly pricier option is the Blue Yeti USB Microphone ($150 USD). Not only does this mic produce “tri-capsule technology to produce pristine, studio-quality recordings” according to the company’s website, but it has a ton of other function control and seems to do well indoors as well as on the field. On the higher end of the spectrum are the Rode microphones & the Heil Microphones. The Rode Podcaster Booming Kit: Podcaster, PSA1 Arm, and PSM1 Shock Mount ($350 USD) is the ultimate Plug-and-Play style microphone kit with studio-like efficiency – the mic itself provides the functionality of a USB type mic, but with broadcast quality audio. The PSA1 is a studio boom arm that can work with either a home or studio setup, while the PSM1 shock mount “isolates external vibrations which can translate as low-frequency noise or manipulate the microphone position” according to the product description. 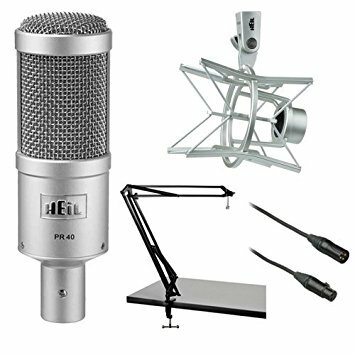 The Heil PR-40 Microphone Kit: With the Heil PL-2T Boom Arm & Heil PRSM Shock Mount ($550 USD) is a favorite amongst seasoned podcasters and audiophiles alike, but it does require an audio interface to connect it to your computer unlike the other microphones on this list. The audio quality, functionality, and control, however, is superior to the rest and it’s a great investment for the long term. All the microphones listed above are for a single person setup. In order to record 2 or more people on the same computer, you could multiply these mics by the number of people to be recorded, or alternatively, you could invest in a multi-person audio setup. Just remember that if you are using USB type microphones, you are more than likely going to require an audio interface to accommodate the number of inputs and the same goes with XLR microphones. While recording your podcast, make sure you use a pair of headphones to check the actual audio quality of the recording in real-time. A few key features of a great set of headphones would be: lifelike audio playback to gauge how you actually sound to your listeners, comfort for hours of recording and editing, minimal sound leakage so you don’t lose out on precious feedback, and blocking out ambient noise to ensure that you can maintain focus. 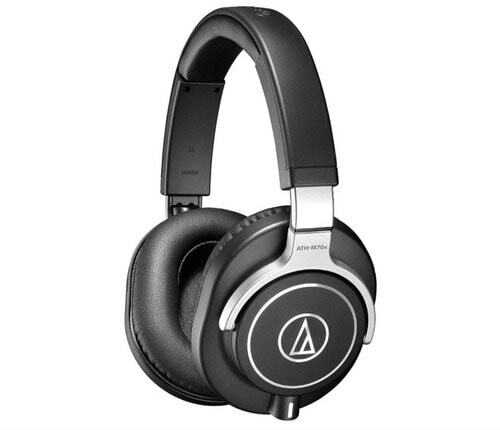 When it comes to these qualities, the Audio-Technica ATH-M70x ($250 – $420 USD depending on the retailer) and the Sony MDR7506 ($79.99 – $130 USD depending on the retailer) are two of the most popular choices. The Audio-Technica ATH-M70x is said to give the listener hyper-detailed and extremely clean audio which is a great advantage to podcasters. If you are looking at seriously getting into podcasting professionally, it might be worth your while to invest in these top of the line headphones. 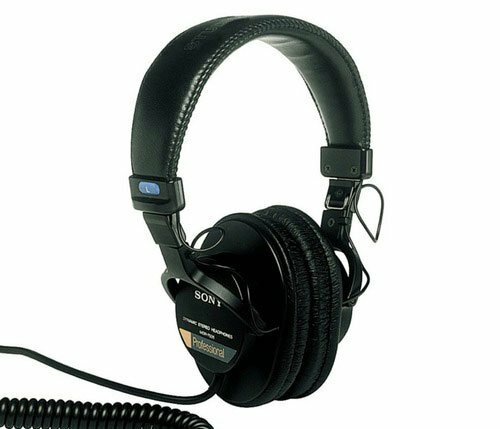 However, if you are wary of putting in such a large sum, the Sony MDR7506 is a great alternative. This pair comes astoundingly close to presenting your voice exactly how it is and is able to pick up even the slightest imperfections in your audio, like no other headphone set in the same price range. If you are more likely to take interviews on the go or in the field, it would be wise to purchase a good portable audio recorder with an external mic as well. As mentioned earlier you could just use the voice recording feature on your smartphone, but the quality might be severely compromised due to external factors such as wind and the weather, ambient sounds, traffic, etc. The choice of investing in any kind of gear, while advisable is highly subjective. In the case of software for recording and editing your podcasts, you could just use GarageBand (pre-loaded on Mac computers) or Audacity (downloadable for Mac & PC). Both of these softwares are free and directly save your audio as MP3 files, making exporting and editing easier. If you are looking for more powerful software that gives you complete autonomous control, you can use Adobe Audition on the Adobe Creative Cloud subscription ($20 USD). GarageBand is a multitrack audio editor that is capable of generating high-quality audio files for podcasts. For beginners in the field with access to a Mac computer or laptop, GarageBand is the ideal software to start off with. Not only does it have an easy to understand user interface and great functionality, but it also comes with preloaded templates for podcasting – thus you can use this platform with even the basic knowledge of audio editing. Besides, there are several tutorials on YouTube explaining editing specific to podcasting. As GarageBand is an Apple entity, you can directly share your finished product on iTunes and to other hosting services. 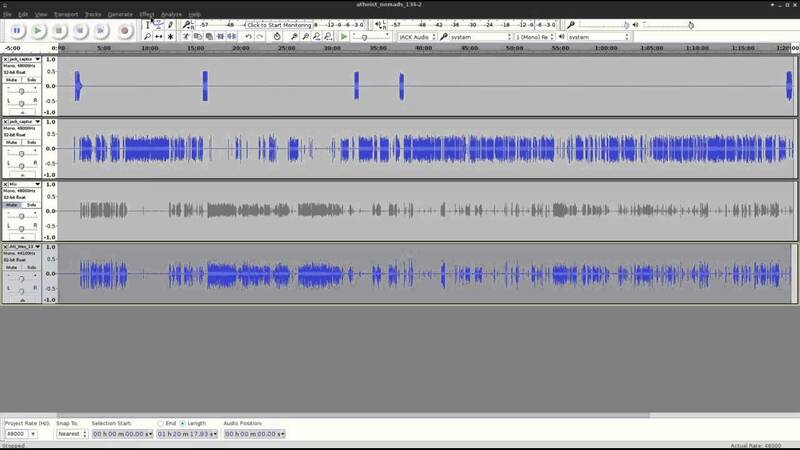 Audacity as a recording and editing software is a great free alternative to many other expensive software as it has most of the advanced editing capabilities. Even in this case, there are lots of online tutorials available to learn everything there is to know about it. 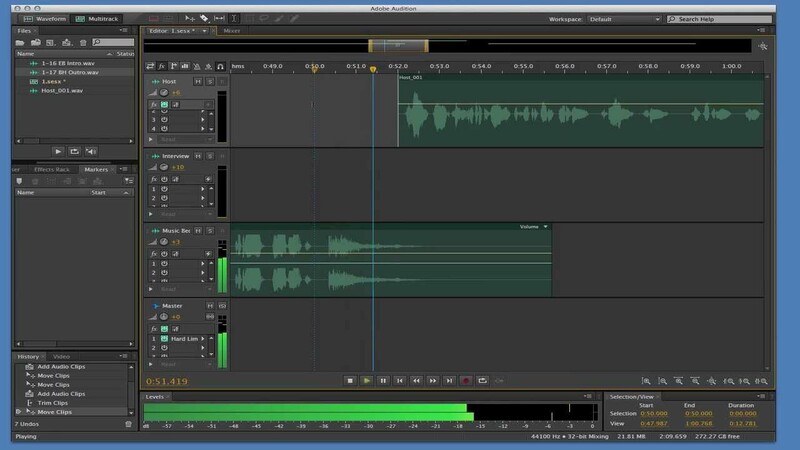 Adobe Audition is not necessarily required to edit just a podcast as it is designed for more complex audio tracks, however, it may be worth considering if you have lots of high-end equipment such as expensive audio interfaces and mixers, and you need software with the capability of keeping up. Another type of software that is worth mentioning here and downloading if you will be conducting interviews over Skype is the call recording software for the platform. This will make it a lot easier to potentially have guests and collaborations with individuals from around the world. Two of the most widely used software for such purposes are Ecamm Call Recorder for Mac ($29.95 USD) and Pamela for PC ($21.25 USD). Once your computer is set up and your equipment is plugged in, all you have to do is press record and talk! Don’t worry about fumbling or messing up, just take a short pause, repeat the entire sentence correctly and you can edit out any mistakes during post-production. When recording, try not to sound too rehearsed or scripted, you should speak with a natural, conversational flow as this is what connects the audience to you and keeps them interested. Honestly, no one wants to listen to a deadpan, robot-like voice for the entirety of your podcast episode. After you are done recording, make sure to normalize your audio so that all your episodes are the same volume and save the file as an MP3 (at 128kbps/44.1Mhz – Bitrate and Sample rate) to ensure high quality at a low file size. During the post-production phase, there are a few things that you could include to jazz up your podcast and give it a little personality. An “Intro” and “Outro” are sort of like the opening and closing credits in a TV episode, except that they have voice over instead of text and they perhaps even include some music, which could be a part of every episode you record. These bits give an introduction to the channel, the host and the episode number. Many podcasters also like to have a catchphrase of sorts that is easily recognizable and sets them apart. The best thing to do would be to record the intro and outro yourself as you can produce exactly what you want. However, there are several freelancers who could produce some great pieces for you to choose from, too. Another important thing to note is that your podcast artwork needs to between 1400 x 1400 & 2048 x 2048 pixels and very visually appealing. Several apps like the Podcast App for Apple and iTunes will feature and rank your channel higher if it has a professional look to it as it is more than likely to attract more listeners. Just as with your Intro and Outro, if you feel like you can’t create the artwork or don’t have the time to, you can hire a freelance graphic designer or artist and commission the work. Post the editing part, most podcast directories that allow you to submit your podcasts and RSS feeds to them also allow you to edit the metadata of your audio file, specifically the ID3 tag. This is the information of your audio file such as the name of the track, episode number, and channel name, in a format that is readable by your device and can be displayed as text. Now you know what a podcast is and how it works, you have a content strategy in place, you have an idea about the kind of audio equipment you will need and the software to go with them. The next step of the process is to actually get your content published and out to the masses – this involves podcast hosting, syndicating your RSS Feed with directories & submitting to channels and the launch & publicity. Hosting your recorded file can be done in any one of the two places. You could either use a hosting platform such as Blubrry ($12 USD for 100mb) or LibSyn ($5 USD for 50mb) that have unlimited bandwidth. 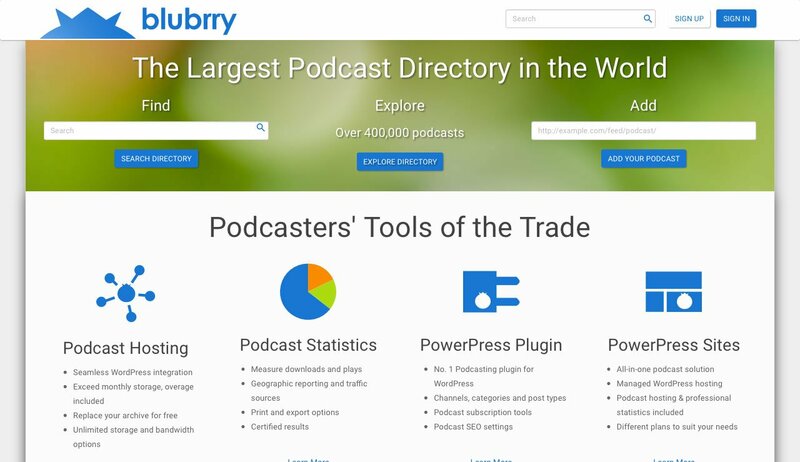 Blubrry is free for the first month and has some great features for podcasters, such as free podcast statistics and support. Furthermore, it also creates specific plugins for WordPress that creates your podcast feed which you can then submit to directories such as iTunes, etc. Alternatively, you could get your own website and web host which would be different from the podcast host, thus giving you full control and flexibility over the feed, design, features, and speed, amongst other aspects. Contrary to popular belief, having your own web host does not mean a slow website and low bandwidth. WordPress Engine ($29 USD/month) is a great option for shared hosting and even getting your own domain. The best way to decide which route is the best for you and your business is by calculating the number of megabytes for each episode on an average and then multiplying that by how often you will be releasing new episodes (Monthly? Bi-Monthly?). Opt for a little extra space for unforeseen circumstances. Once your first episode is uploaded onto your media host you will be given your RSS feed, which will contain all the data of each episode (name, episode, description, artwork, show notes, etc). This feed is what you have to upload to a directory along with all the additional information that will be asked (podcast name, category, artwork, etc). There are several different directories out there and you aren’t just limited to any single one; in fact, the more directories that you upload your RSS feed to, the higher the exposure. To begin with, however, iTunes and Stitcher are two of the largest and the most popular directories out there but feel free to distribute your content to other platforms such as SoundCloud too, if you’d like! Once you submit your feed to the platform, you should typically receive a reply about the status of your approval in 24 – 48 hours. Now you have the finished product and you know how to upload it to a directory so it can be consumed by your audience, but how will people know that you have released your first podcast? In order for your podcast to be successful, you need to generate the required buzz before and around the launch. Like any major marketing campaign, the PR part is essential. There are multiple different things you can do to create this publicity. The most obvious option is promoting your podcast on the affiliating social media platforms for your business and perhaps even from your personal accounts. This lets your customers, family, and friends know about this upcoming online marketing development for your business. If you have a blog or website, you can set up a signing sheet to your mailing list and encourage people to subscribe to your podcast, listen to your episode(s) and share it with others. If you do manage to get a substantial number of listens, downloads, reviews, etc. there is a high chance of getting featured on a directory. 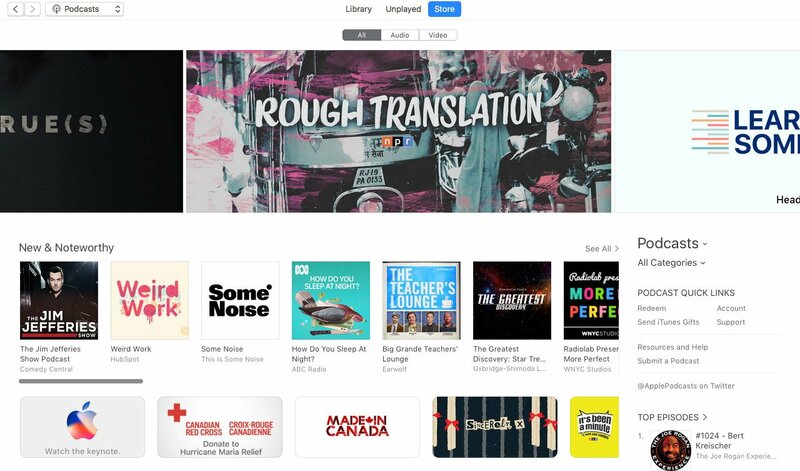 For instance, iTunes selects a handful of podcasts to be featured on their “New and Newsworthy” section of their homepage for up to 8 weeks when you meet the criteria. As mentioned earlier, the kind of Podcast artwork you have will also make you more relevant and noticeable to the media giant. iTunes being the biggest directory in the world can help your podcast channel grow by leaps and bounds if it does feature you, therefore driving more potential customers your way. Having more than one episode (ideally 3-5) on the day of your launch is also a great way to show your commitment to churning out good content, which in turn will have your customers returning right from the get-go as they realize that they have something to subscribe to. Engagement is the key to getting traction early on. The publicity of your channel does not end at the launch of your first couple of episodes. It’s an ongoing process that requires a bit of dedication. Simple things like reminding your listeners to leave a review or share your episode can prove to be extremely effective. Back this up by providing an incentive to engage with your channel such as giveaways, competitions, prizes and special mentions to highly engaged listeners. As was the case with the launch, the publicity is not limited to just your podcast so extend this to your business/personal social media and other content platforms to continue spreading the word. Don’t underestimate having an email list, either. It’s a good way to keep your audience informed about any updates, to hype your episode by sending out feelers or letting them know if there will be a guest speaker in your next episode that they might be interested in. Also, let your listeners know that you value their time, so if you have any changes to the schedule or are unable to post when you said you would, you will use this mode of communication to let them know. Lastly, the main thing that will help with the growth of your channel, and in turn, your business, is consistency with great content. Now for the part that actually makes the mullah: there are many different ways to monetize your podcast, but this all depends on your audience engagement and their trust in you and your business. Once you are able to monetize your podcast, this will snowball into capitalizing your website/blog too (if the RSS feed is on there). Paid Podcast Model: Once you get to the point that you have a substantial number of episodes out and have amassed a decent following, you can start implementing the pay-per-listen model or have a few episodes free and the rest of your episodes will only be accessible if the listener pays. If your content is brilliant, this paid model could turn into a viable mode of revenue. Rehashing Your Created Content: You own the copyrights to all the content you produce, therefore it’s up to you what you do with it. You can turn your podcast into a book or any other viable source of content and earn off that. Selling Your Own Products/Services: The most direct way of advertising is to market your product or service on your own podcast. List all accompanying information, add an anecdote or two, a bit of humor perhaps, and there you have it: your listener numbers soon translate to customer numbers. Paid Placements: This is basically sponsorship. A sponsor may pay you to talk about their product, service or even their own content channels and in return, pay you a fee. If your channel has a lot of followers and is extremely popular, you may even be asked to speak on other channels or host other speakers for a profit. Funding from Fans: You would be surprised at how many listeners would be willing to support you to get good content in return. All you need to do is set up a GoFundMe or Kickstarter page and ask your listeners, customers, family, and friends to support you through contributions. Explain the costs of constantly creating fresh content and the effort it takes. Many people may gladly contribute. Affiliate Marketing: This works the same way it does with affiliate marketing on YouTube. The only difference is that instead of links, you publicize the product or service and then ask your listeners to use the affiliate code that you provide them while checking out. Podcasting isn’t just a great addition to your current online marketing strategy but it can also be a self-sustaining revenue model in itself. Creating the podcast content and marketing also has a symbiotic relation: it’s all about audience engagement. Starting your own podcast may seem a little intimidating but hopefully, this guide has eased your mind into understanding the benefits that it may have for you and your business. Just take a look at successful podcasters in the ecommerce sector and the attention their brand receives. If you already have access to an external mic and a computer, you’ll be equipped to start your own podcast immediately. It isn’t about publishing right away though, but rather about getting the hang of the process. Even though the number of podcasts produced every year has doubled between 2012 and 2014 and is constantly increasing, the market is still malleable for niche topics within the ecommerce sector. Even the demographics of listeners is nearly 50% of each gender between the age of 18-54. Podcasting is one bandwagon you should definitely think of jumping on! The A Better Lemonade Stand Content Team focuses on writing comprehensive, actionable, practical and resourceful content for our audience of ecommerce entrepreneurs wherever they are in the process of building, launching and growing their own ecommerce businesses. 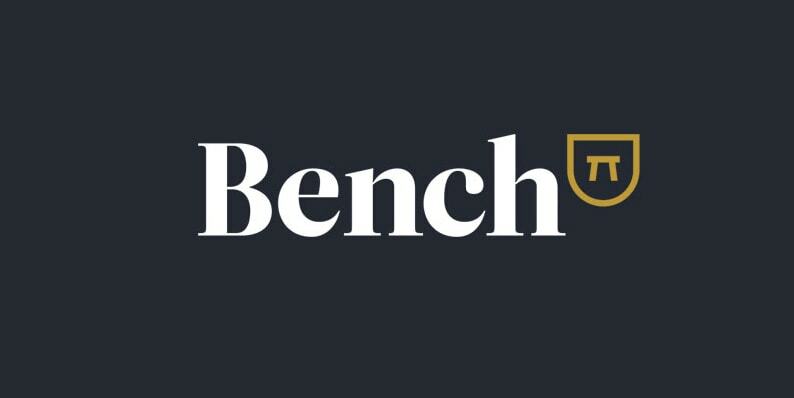 Let Bench do your bookkeeping so you don't have to. No more number crunching, just tidy financial reports & easy communication.